In every home, big or small and of all styles and aesthetics, the entryway sets the tone for visitors as the first and last spot one sees as they come and go. 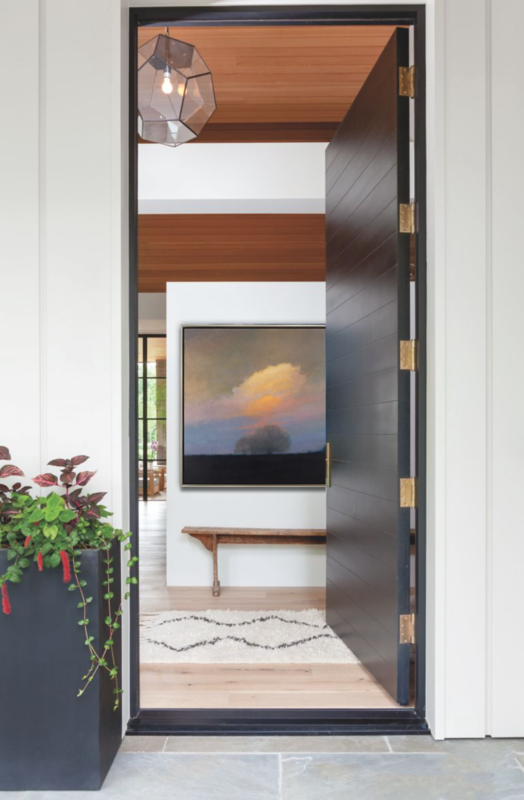 The entryway invites one inside either with a wide open foyer, a narrow hallway, or sometimes a small space that separates the entrance from the rest of the home, which opens up beyond. Regardless the size or spacing of your entryway, play up whatever it is you’ve got. Make a statement and create a gorgeous welcome just beyond your front door. Bach, “Hillcrest,” Oil on Canvas, 40 x 40 in. A simple, yet elegant entryway like the one above offers immediate tranquility with its clean and peaceful atmosphere. Bach’s “Hillcrest” is the perfect focal point for this beautiful entrance. Just open the front door and you’re immediately transported to a breathtaking countryside sunset. Stone, “Songs VII,” Acrylic on Canvas, 52 x 53 in. 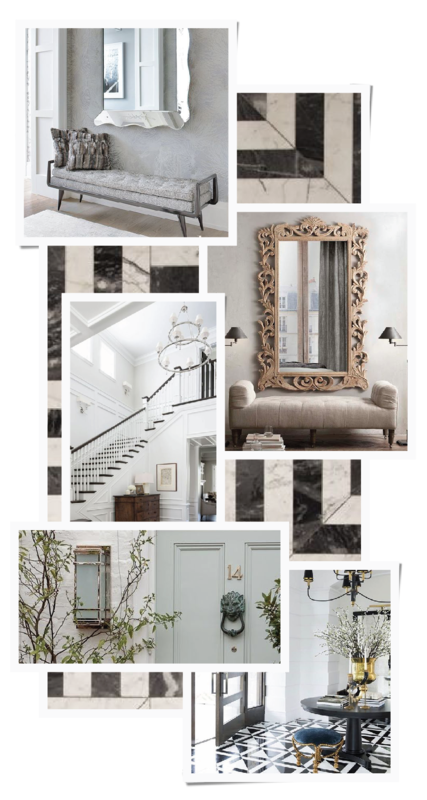 Create a composition where each and every aspect of the design makes a statement. Less is more when each piece of furniture, each accessory complements and augments the design goal in mind. 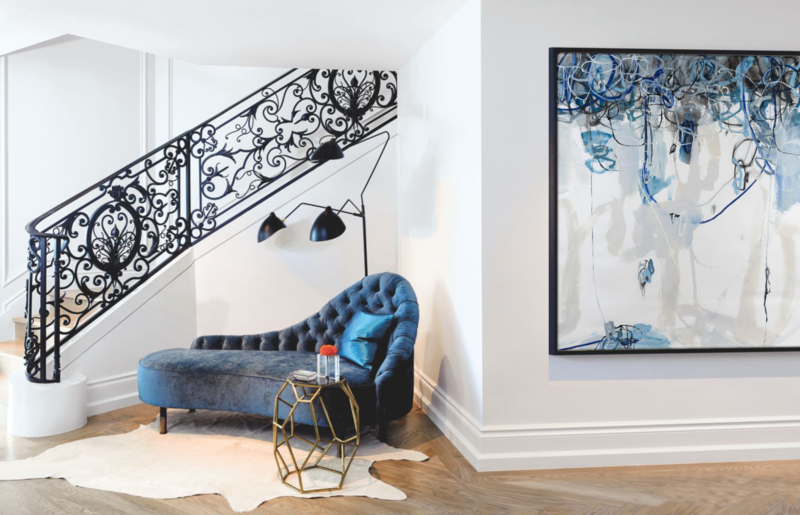 In the space above, the staircase twists and twirls with intricate detail, below which sits a plush velvet settee and geometric bronze side table. Mia Stone’s “Songs VII” extends the subtle and cool palette of this entryway, while mirroring the detail in the staircase and providing rich contrast against the bright white backdrop. Don’t be afraid to mix and match! 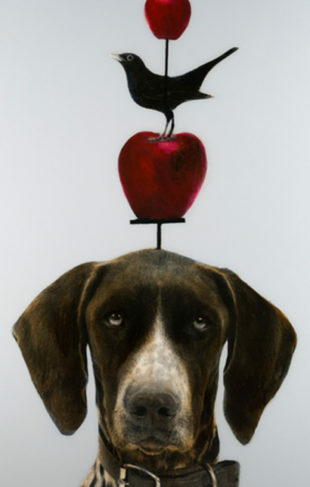 Be innovative with your choice of artwork if your space has a more traditional feel. Donald Sultan’s “Reversal Poppies” color screen prints invite a contemporary and bold touch to this classic, storied space. Just the right depth and contrast to bring the design of this entryway full circle.